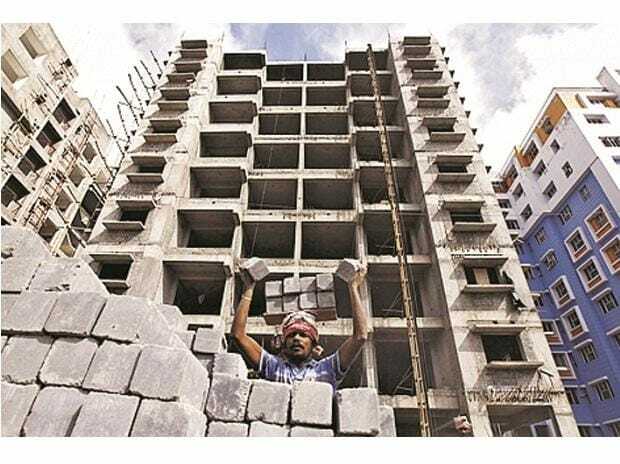 Owing to weak consumer sentiments despite the recent announcement of various sops for the buyers, India's residential real estate sector outlook remains negative, the report said. According to the rating agency Icra, factors responsible for negative outlook are demand-supply mismatches in many markets and product segments, leveraged balance sheets and continuing funding challenges for developers, challenging macro-economic environment, and low affordability levels for buyers. "Overall we expects a negative outlook on the Indian residential real estate sector. Consumer sentiment remains weak, notwithstanding recent sops for the sector announced in the union budget," Icra group head Shubham Jain said. Icra further noted that the rationale to revise the rates has been to reduce the high headline GST rates, which have resulted in lower sales of under-construction houses. The GST rates for affordable housing have been reduced from 8 percent (with full input tax credit) to 1 percent (without input tax credit). Similarly, for other segments the rates have been reduced from 12 percent (with full input tax credit) to 5 percent (without input tax credit). "There have been concerns that developers have not been fully passing on the benefits of the input tax credit availability to customers. However, for developers who have been passing on input credit benefits to customers, its removal will increase cost and constrain profitability unless developers pass on the additional costs to customers," Jain said. "The reduced rates will bolster consumer sentiment towards under-construction properties as high rates were a dampener for customer-buying sentiment, considering the high value of such transactions. However short-term transition issues relating to pricing and profit margins in ongoing projects and possible deferment of purchases by customers cannot be ruled out," he said. Jain further said that this may have a bearing on sales and collections in launched projects, as witnessed during the initial stage of GST implementation in July 2017. "The long-term impact of rate reduction on under- construction segment will be positive, though in the near term, managing customer expectations on price reduction in ongoing projects will be a key challenge for developers, especially at the lower ticket sizes," he added. According to Icra, going forward, market consolidation trends will continue, enabling larger developers to gain at the expense of the smaller ones. "Given the current market conditions, developers are realigning strategies to meet market requirements and their focus has shifted on right-sizing and right-pricing which has supported pick-up in sales velocity. "Buoyed by change in sentiments and signs of plausible long-term recovery, large listed players have increased their pace of project launches. The pace of execution of ongoing projects has been simultaneously maintained, given the increasing home buyer preference for completed inventory," Jain added.